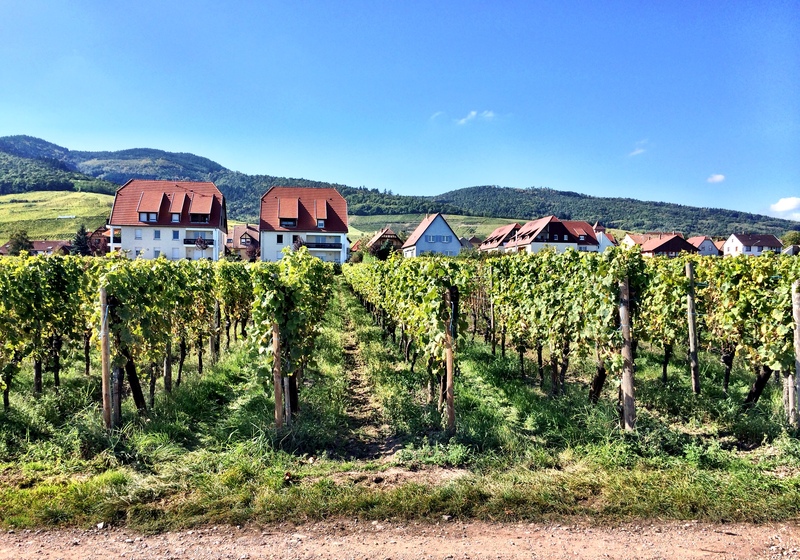 Alsace is my favourite region of France and in my eyes makes the best wine (no doubt Champagne and Bordeaux would have something to say about that). 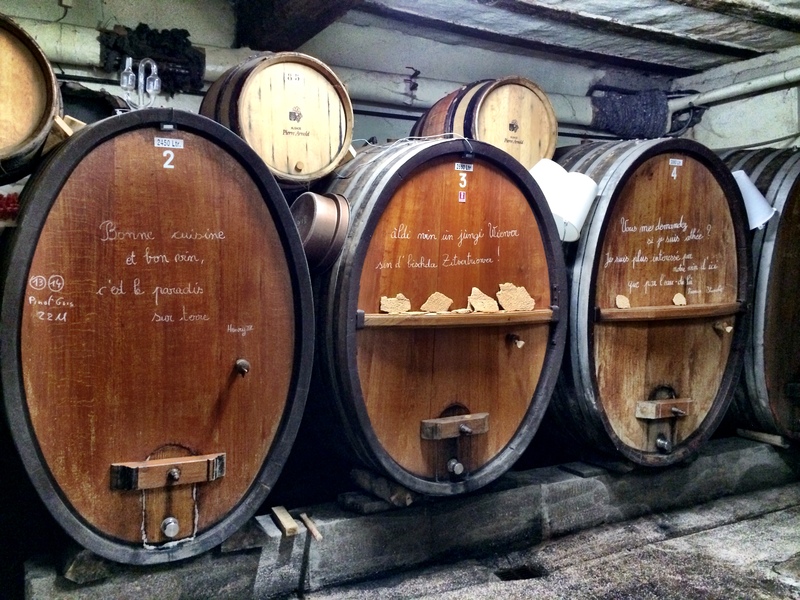 The Alsace wine route runs from Strasbourg to Mulhouse and is full of quaint villages, medieval châteaux and dozens of wineries. 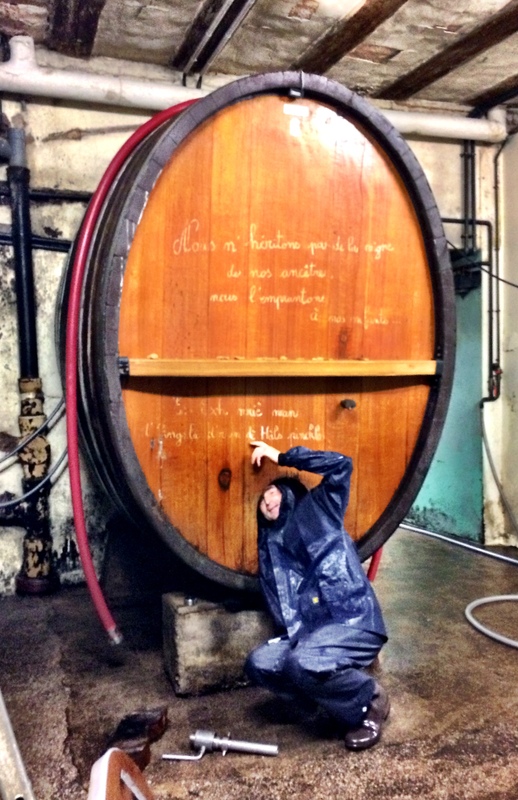 I’ve drunk my fare share of Alsatian wine (pass the Gewürztraminer please) but never participated in vendage or vintage; arguably the most important step in the entire wine making process. Pick the grapes at the wrong time and you’re doomed. My friends Agathe and Manuel from Selestat knew this when they instructed me to get into the car one Saturday. “We’re going to a winery” they said. 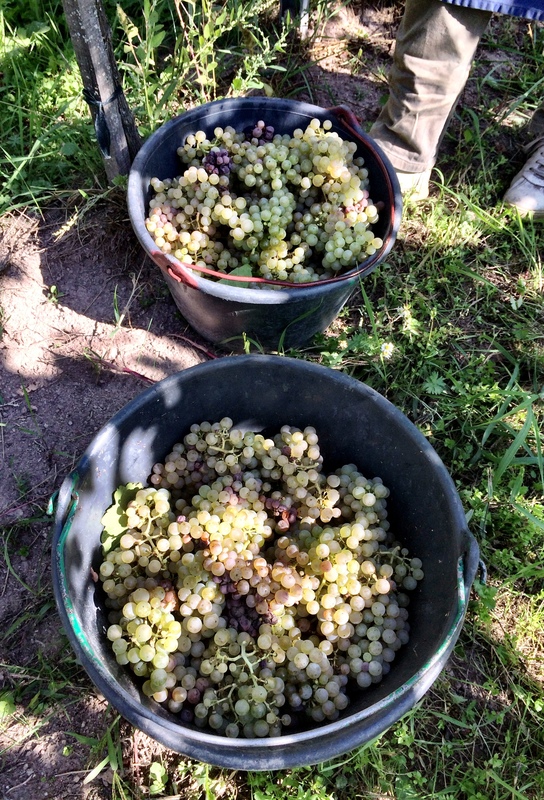 “It’s the perfect season to pick grapes”. Brilliant I thought. Gewürztraminer grapes as far as the eye can see! 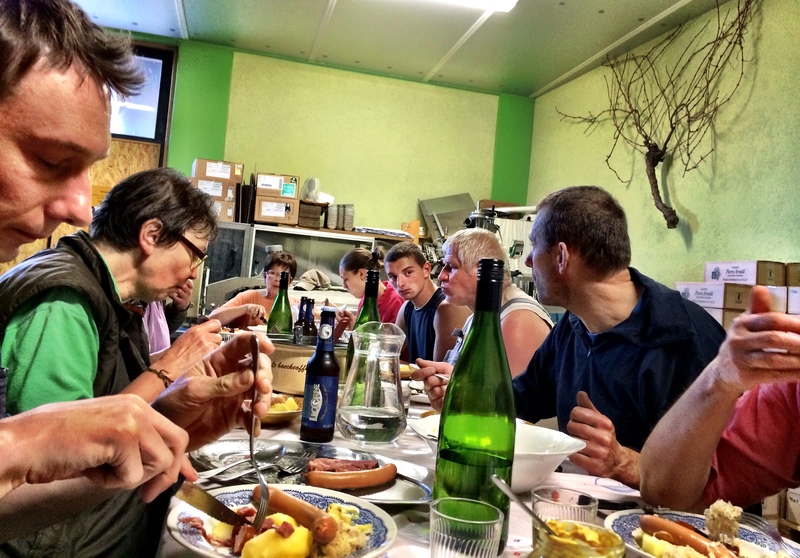 Half an hour later we arrived in Dambach-La-Ville and pulled up at the Pierre Arnold winery. Our hosts gave us a tour of the winery facilities, including the pressing room, the storage room and the tasting room. 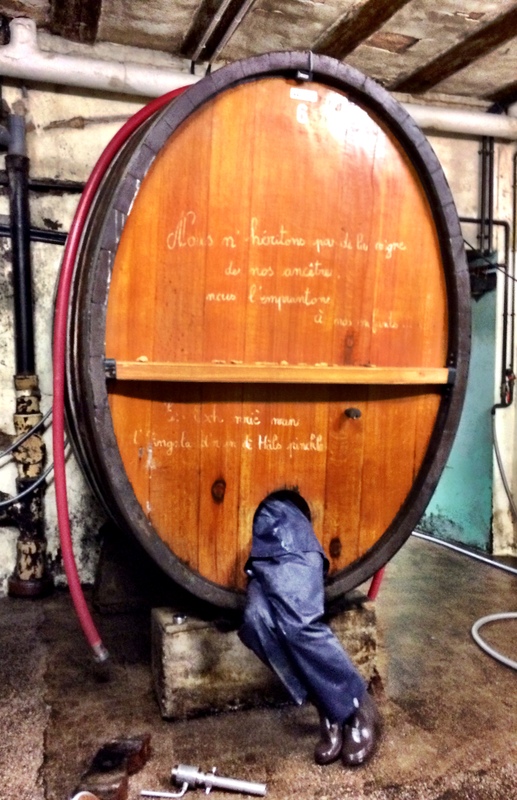 Sylvaner grapes were being pressed that day while giant oak barrels held a variety of wines is various stages of fermentation. 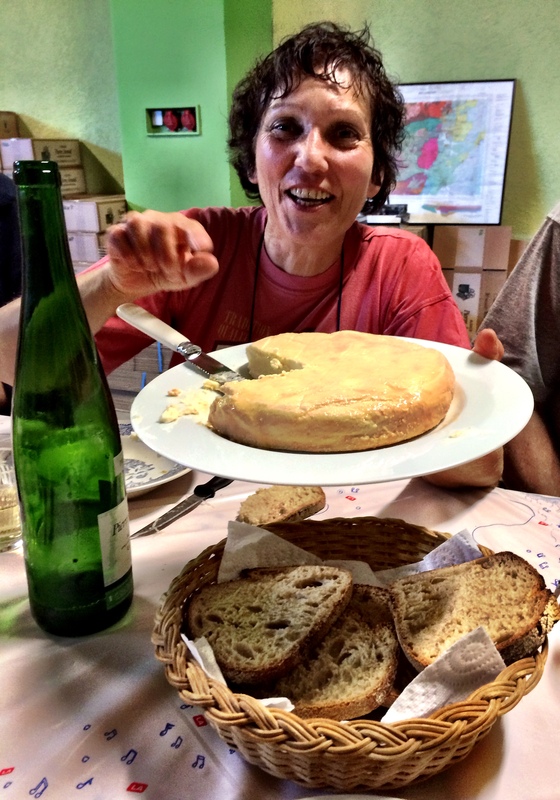 ‘Bonne cuisine et bon vin, c’est le paradis sur terre’. ‘Good food and wine, it’s paradise on earth’. Agreed! The barrels must be cleaned thoroughly to prevent tartar build up. At one point our host donned a waterproof suit and contorted his elongated form through the tiny trap door to give one particular barrel a good scrub. At this point it was nearing 1pm which meant just one thing. Déjeuner! A hoard of hungry vendage workers had just arrived for their main meal of the day and it was time for us to sit down and join them. I’ve always loved the devotion and energy that the French apply to their lunch. It is still common practice for people to stop everything and either return home to prepare a meal or enjoy a meal out of the office with colleagues. A sandwich at one’s desk would be unthinkable. We joined the ravenous workers at a long table for a welcoming round of fromage frais on crusty bread and Pierre Arnold wine. Then my nose suddenly picked up a tangy, sour scent and I knew it could only mean one thing in these parts. Choucroute!! 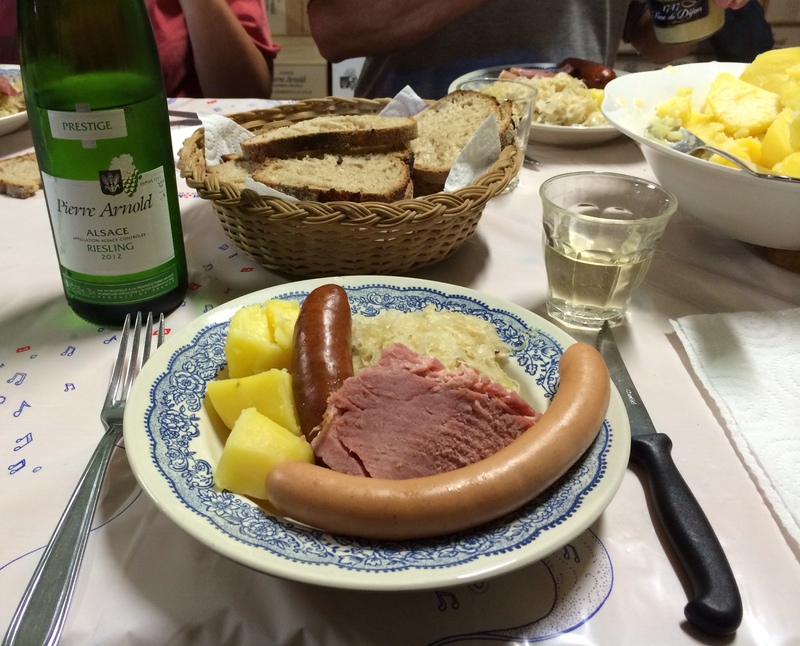 Alsace’s most prolific dish includes piles of sauerkraut braised with various cuts of cured pork, juniper berries and boiled potatoes. Generous serves were accompanied by Dijon mustard, fresh bread and more wine. Massive rounds of local (and extremely pungent) Munster cheese were circulated and my neighbour taught me how to add cumin to aid digestion. This was followed by homemade chocolate cake and black coffee. I received strange looks when I requested milk for my coffee. Milky coffee after breakfast is decidedly un-French. After this four course extravaganza I was ready for a nap but my friends had other ideas. Before I knew it I’d been dressed in wellies, an apron and thrown in the back of a truck. It was time to work! 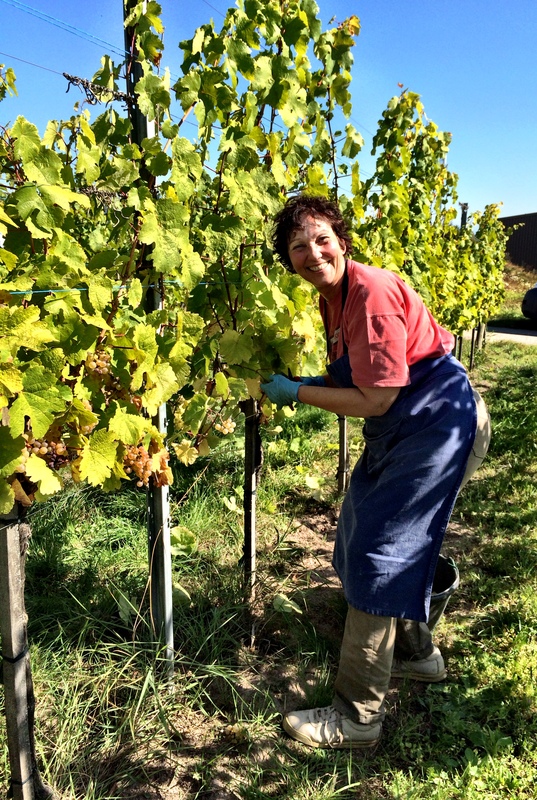 The vineyard was just outside the village and we could see our lunch companions already hard at work; the sound of steady snipping punctuated with the odd burst of laughter. There was no stereotypical vendage worker here; I met older folk who lived locally and had wine in the blood and Parisian city slickers who wanted a change of pace for a few weeks. 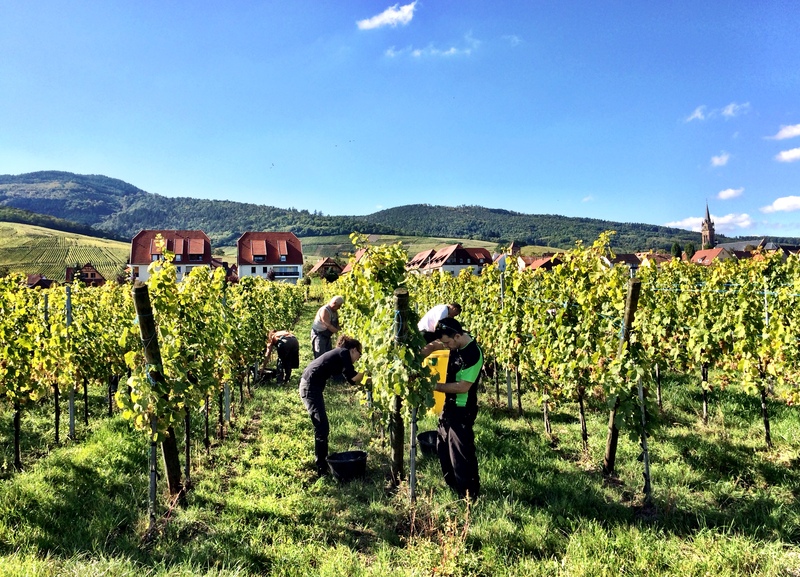 We worked gracefully in teams, each scouring a section of vines for grapes. Before I knew it we’d finished a row. The small sense of achievement quickly disappeared when we looked up and realised there were hundreds still to go! 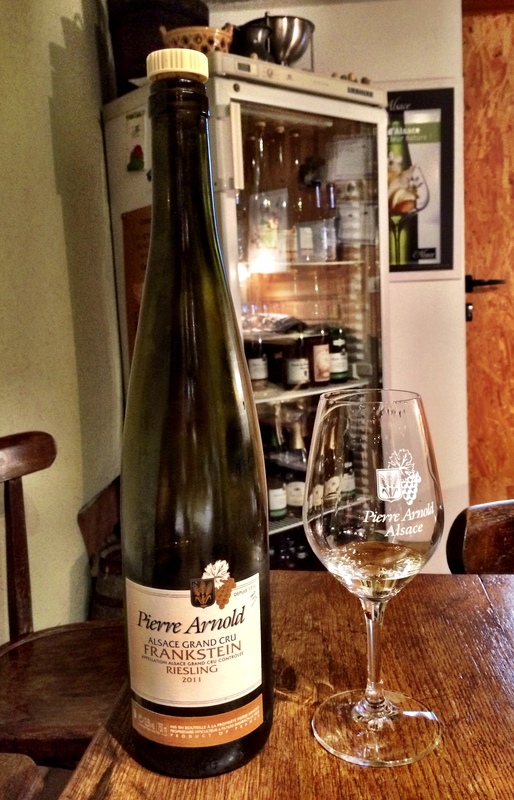 After a few hours of work we headed back to the winery for a tasting and I settled on my new favourite Alsatian drop, the Frankstein Riesling. I’ve made a promise to myself to revisit the winery in a few years so I can try the vintage that I contributed to. Has anyone participated in vendage around the world? I’d love to hear about it!